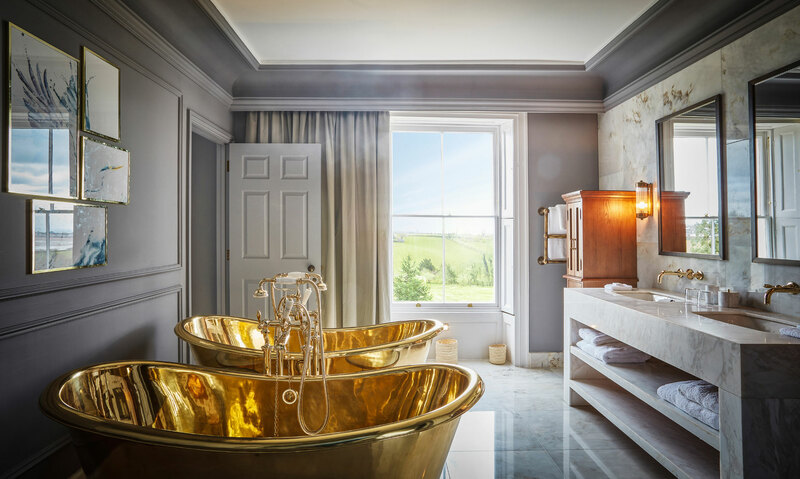 4 Holne Cross is located on the outskirts of Ashburton off Headborough Hill towards Dartmoor. 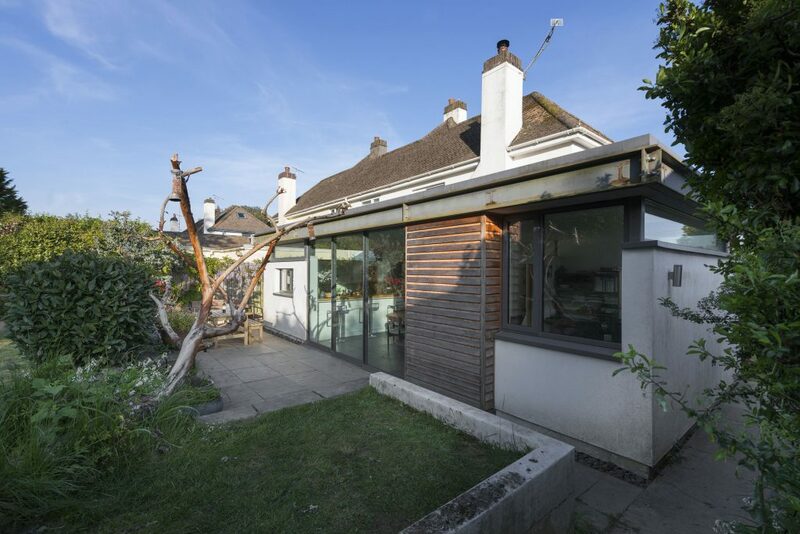 It is a 3 bedroom, two storey, semi-detached property, built in 1947. 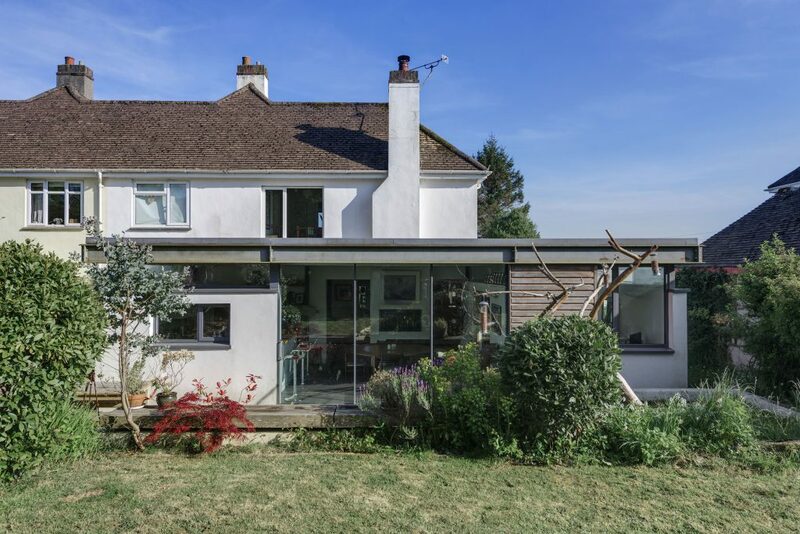 We have designed, constructed and completed a positively modern, low energy contemporary domestic extension. 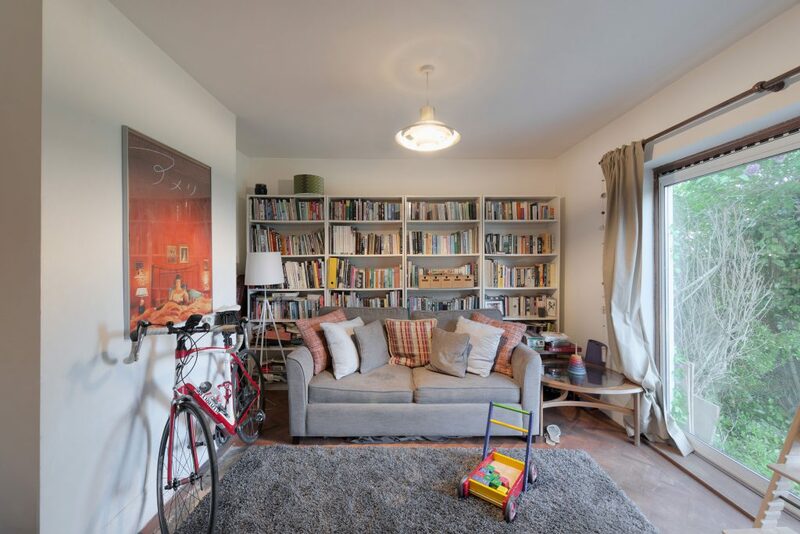 The aim of the project was to create a flexible, working environment and domestic family room that maximized the potential of the site. 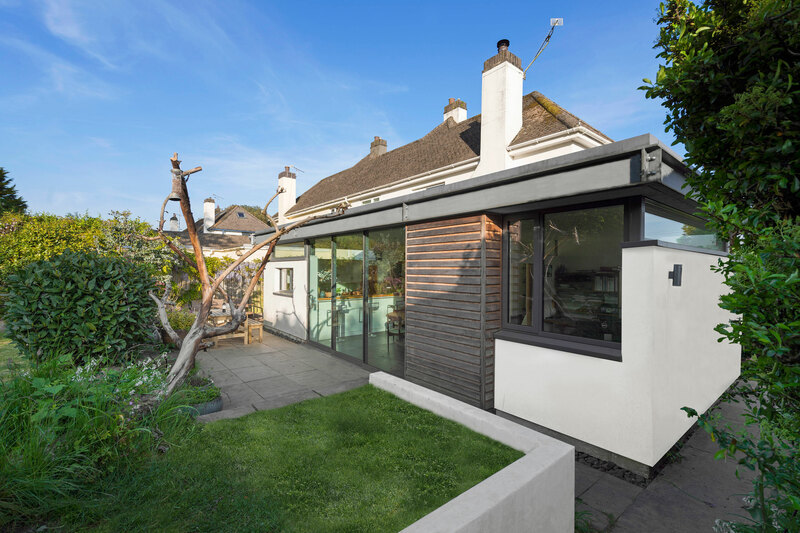 The design provides a new kitchen, family room and home office at the rear of the existing building. 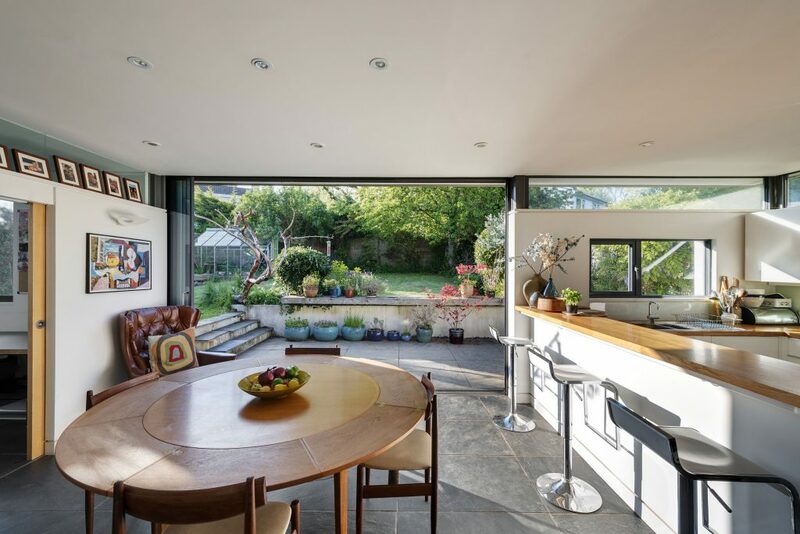 Walls have been modified and opened up to maximize the connection between the front garden which has views over the rolling hills of Devon, towards the rear private garden and external paved area. 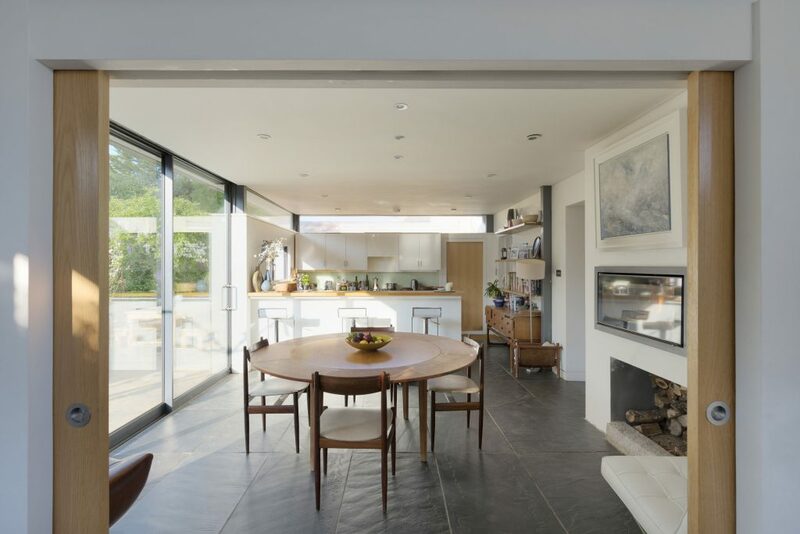 The two-way fire place is centered between the existing building and new extension with adjacent walls removed to promote open plan living and serves as a symbolic heart to the house. 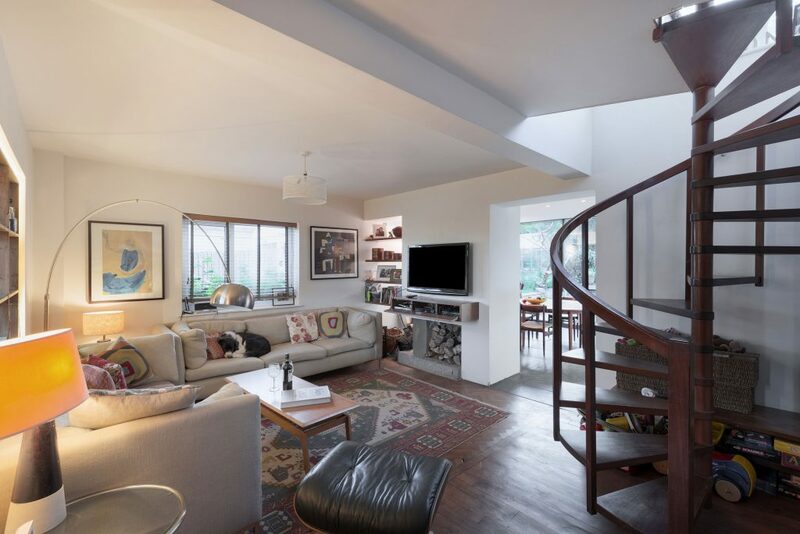 A lightweight timber spiral stair offers an efficient and graceful connection between the ground and first floor. The building draws reference to the works of Craig Elwood and Marcel Breuer in creating a contemporary, functional and lightweight building extension. Slim-line glazed framing, carefully articulated shadow gaps and a controlled use of materials provide a calm living and working environment. The building has been structurally designed to accommodate a second storey when and if required. Through the use of retractable screens and high level of detailing, the building is used successfully as an architectural studio and domestic residence by providing working / meeting facilities and a family living environment within a consistent architectural language. The building utilizes composite steel and timber framed paneling system to create a highly insulated envelope and generous north facing windows and views into the garden. Under-floor heating minimizes the need for peaks and troughs in heating demands and enhanced U-values and good air tightness meet high sustainable energy targets. 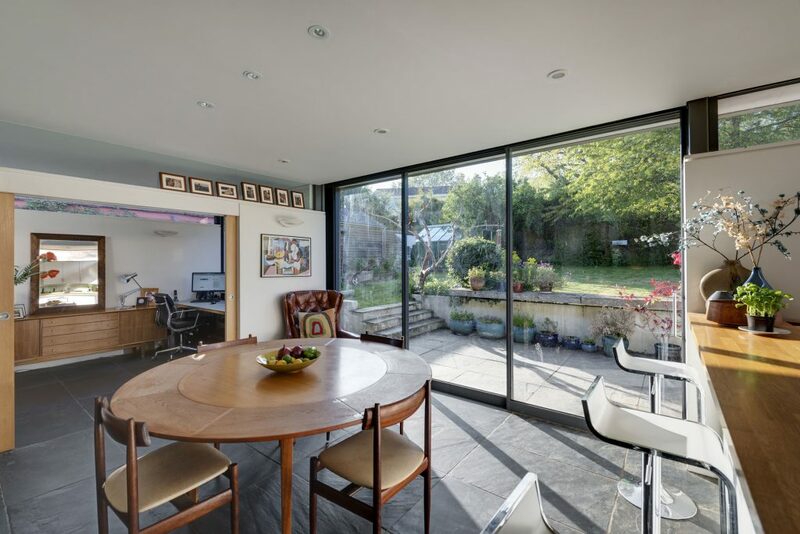 Full height retractable sliding glass panels allow for maximum connection with the landscape and external dining area and help minimize the need for artificial lighting. The building succeeds in offering a flexible and harmonious working and living environment which is of critical importance in the present economic climate. 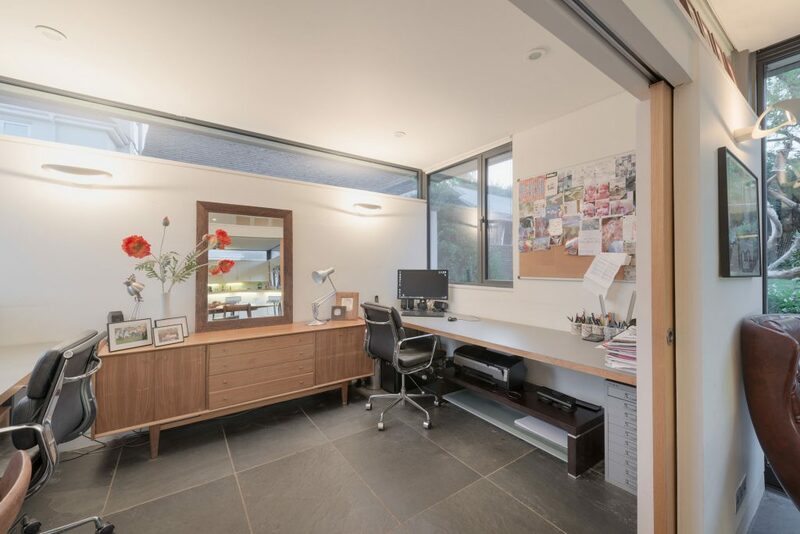 The building supports a robust and sustainable business by keeping travel costs contained, offers a flexible working arrangement, offers domestic flexibility and allows for minimal operational over-heads. The building was used as a successful architectural office. 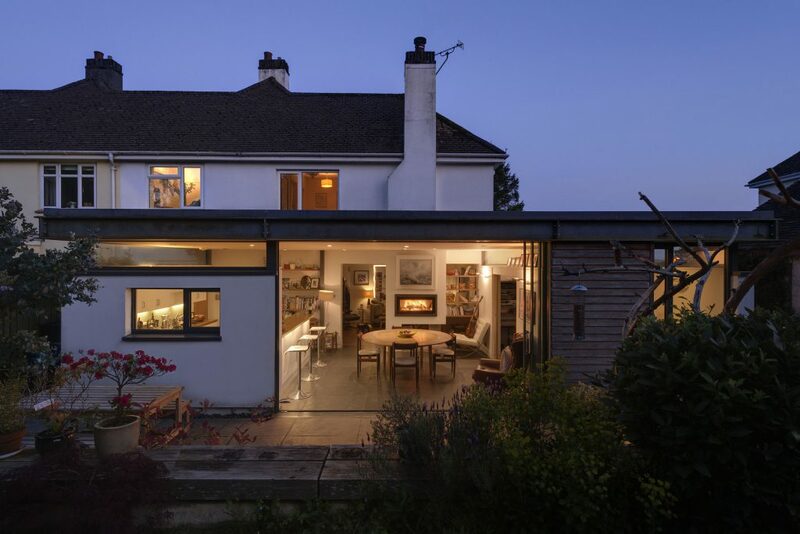 The project is used by the Planning Authority as an exemplar of high quality contemporary design in the heart of the Dartmoor National Park.